A young man described by the District Judge as “a long time provisional driver”, was banned from driving for nine months and ordered to carry out 100 hours of Community Service when he appeared at East Tyrone Magistrates Court. Conor Donaghy (25), of Gortlenaghan Road, Dungannon, was also fined a total of £315 on charges of having no insurance, no Vehicle Test Certificate, driving unaccompanied and failing to display ‘L’ plates. Bail was fixed for appeal purposes, and the defendant was given permission to drive pending the appeal. The court heard the offences came to light when police stopped with Donaghy who was in the driving seat of a parked car at Cullenfad Road, Dungannon, in the early hours of October 20 last. 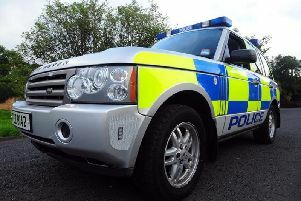 A lawyer prosecuting said the defendant, who had two passengers on board, produced a provisional driving licence and checks showed he had no insurance or Vehicle Test Certificate and there were no ‘L’ plates displayed. A defence lawyer said Donaghy had been in Australia for some time and on returning had never got round to getting his driving documents in order. He pointed out the defendant had done his driving test in January but had failed and was intending to do it again. District Judge John Meehan said this was Donaghy’s second offence for no insurance and he had two passengers on board. He added the defendant has been a provisional driver since 2013.